Engaging in 3 key relationships. I wanted to push the reset button on our year long theme here at Eastern Hills of “Becoming an Inviting Family”. We introduced this theme back in September and asked people to choose “3 key relationships” and begin investing in them. Why is this so important you might ask? We believe that Jesus makes life better. Therefore, we want everyone around us to know that. Your friends need you to tell them, show them, convince them, that Jesus makes life better. First of all pick 3 key relationships, (people who don’t know Jesus) they might be people from your kids school, from your kids sports team, a co-worker, a neighbor, a family friend, even someone in your family. Here are 3 ways that you can work at becoming an inviting family with these 3 people. Find opportunities to have conversations. Ask them how you can pray for them. 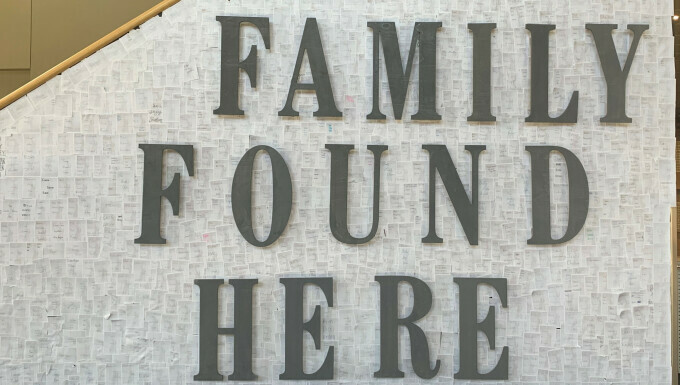 Invite them to an invitation event put on by church. Invite them to a weekend service. If you chose 3 key relationships at the beginning of this ministry year, are they still the right ones? Do you need to update your key 3? Have you done anything to invest in your key 3 relationships? If you haven’t chosen 3 key relationships now is your chance, choose 3 people and get started. We want everyone around us to know that Jesus makes life better. “We” are going Ice Skating next week Tuesday, Wednesday, and Thursday (January 29-31) at the Pond at Southlands. Why is “We” in quotes? Because we doesn’t mean Ehills, it means everyone. We have reserved the skating rink from 6:00-8:00pm. 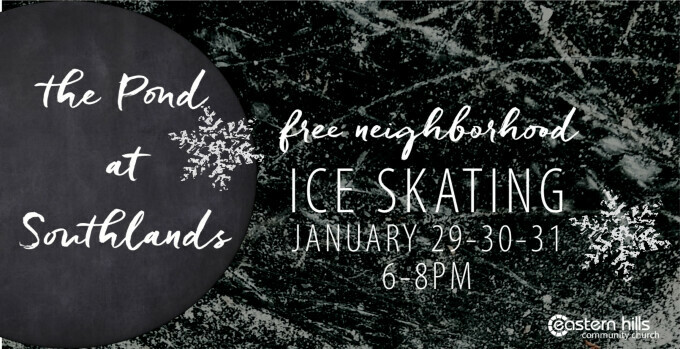 Now you might be asking, “Why would my church rent an ice skating rink for 3 nights of free ice skating?” Well, it’s not for you, (just kidding) it’s for you to invite your friends, coworkers, and neighbors to enjoy a night of skating and for you to spend time with you and others from Eastern Hills. Our year-long theme this year is Becoming an Inviting Family and we’ve been challenging each other to invest in 3 key relationships. Invest, Pray, and Invite were the steps we laid out to develop these relationships. Well if you’ve been investing in people, and you’ve been praying for them, now it’s time to invite them. Inviting someone to join your family for free ice skating is easier than inviting them to a church service on the weekend, and that’s the whole point. We are trying to figure out events that are easy invites for your friends and neighbors. I’m not saying you can’t come if you don’t invite someone, but that’s what this event is intended to be. So...invite people because it’s going to be a ton of fun. We’ve rented the whole rink, skates are included, we’ll have cookies, and even a magician to entertain you while you wait in line. Our friends from Legends Coffee will be selling hot chocolate and coffee in the skate rental shop so bring some money for a warm up and to support this awesome neighborhood coffee shop. We can’t wait to see you next week. Get out there and invite someone. If you want to help plan easy invitation events like this in the future, or even have ideas about what we should do for them, shoot me an e-mail and let’s have a conversation. A collection of ideas and discussions from the team at Eastern Hills. Eastern Hills is a group of people who are following Jesus together. And as we follow Him, we're inviting others to experience, along with us, the reality that Jesus makes life better.